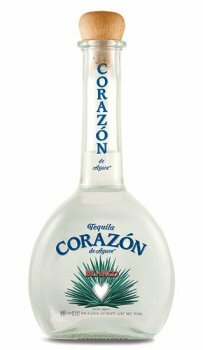 Corazón de Agave Blanco Tequila embodies the true essence of the heart of the agave...clean, clear, crisp and smooth to the finish. Casa San Matias is one of the few family-owned agave estates in Jalisco, Mexico. Corazón de Agave Tequila is estate cultivated, distilled and hand bottled. The entire Corazón de Agave Tequila process comes straight from the heart of its producers. Corazón de Agave Tequila is made from only 100% agave. Only the highest quality plants are selected, using all natural juices from the heart of the agave. Corazón de Agave Tequila contains no artificial ingredients. Oxygen is infused into Corazón de Agave Tequila after the second distillation. This produces a spirit that is softer and more approachable with enhanced aroma and distinct flavors. I had a bottle of this back in the day when it was NOM 1440 and I didn't like it at all. Now that it's years later and has a new NOM, I figured I'd give it a try again. Aroma: Earthy agave with hints of grass and smoke. Initial Taste: Decent agave entry with nice hints of grass and citrus. Body: Medium-light body. Flavors are consistent throughout and it has a nice mix of agave, vegetal and pepper flavors. Finish: Light on the finish for a blanco. It's decent, but it doesn't last very long and the agave spice is muted. All in all, this is a good but not great blanco. It's certainly better than the 1440 expression was from years ago. The flavors are light and pleasant, but it's doesn't stick out as exceptional. With that said, this can be found for $20 or under in some places. For that price, this is a very good blanco that would be versatile for many purposes. Corazon also does a very nice job with the presentation. If you are in need of something basic and value oriented, this is a decent choice. I almost always taste & review at home with my own bottle but I made an exception with the three Corazones during the holidays at a Mexican restaurant. This tequila had a slight agave nose with medium alcohol, a hot, peppery introduction, and light body. I detected spicy fruit which could have been much smoother for the price paid. The medium finish resulted in an open, slightly numbing sensation, due mainly in part to the alcohol. 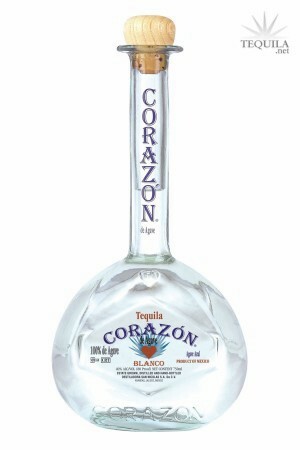 Corazon Blanco, to me, is a tequila stuck in the middle, too expensive for Margarita's & not good enough for shots! Tasted out of snifter 6/15/08. Corazon blanco tequila is definitely a more 'aggressive' blanco. I'd have to say my least favorite part of this tequila would have to be the finish. Too much of an alcohol burn to really enjoy the flavor. Aroma: hints of smoke and pepper. Initial Taste: slight alcohol burn followed by strong earthy, and spicy presence. Body: strong presence of agave, earth and spice. Finish: Somewhat more than mild alcohol burn and a heated finish of medium duration. Corazon Blanco NOM 1440 Tasted on 6/17/07 at 6:53pm. 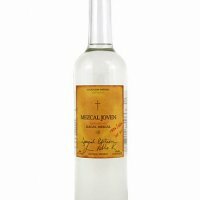 I tried this tequila at Cantina Del Cabo and tasted it in a wine glass shaped similarly to a Riedel tequila glass. With a clear color, this tequila has intense aromas of floral, earth, and spice. Other aromas include moderate fruit with mild smoke. The tequila has a thin mouth feel and on the first sip has a low level of sweetness with no bitterness. Intense flavors of earth and agave are followed by moderate notes of fruit and floral. With a short to medium duration of flavor, tastes of mild spice and wood with a hint of smoke bring this tequila to a subtle slightly numbing finish. Corazon Blanco has received the rating of 90 points out of 100.